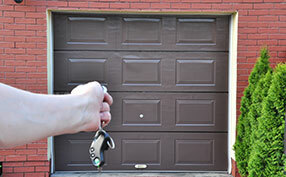 Do you know how many garage doors remain open for a long time or half open for days? You'd be surprised! 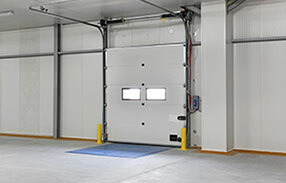 Regardless of the cause, the result is that your open aluminum overhead doors will be a clear temptation to the criminal minds or simply a clear invitation. Manufacturers have realized the importance of the matter and have come up with various methods, which will help you get rid of such anxieties. Doors are supposed to close well; otherwise, why invest on them? There are various reasons why doors remain open apart from forgetting them open. They are associated with the humidity conditions of your location and definitely with the frequency as well as the quality of the garage door service. * When you drive away make sure you have press the button of the remote controls. * When the door stays open due to a problem, you should fix it before you regret your indifference. * Check the bottom seal because the gap underneath the door may seem tiny to you, but enough space to fit a tool and open the door to the experienced eyes of intruders. * When your door doesn't close all the way down, you should also check the springs, the cables and, mainly, the openers that are supposed to hold the door down. * If you keep forgetting the door open, you should get openers that will close the door automatically or install a timer that will warn you that the door is still open. * Of course, you can follow the latest technologies by making your garage door “smart” and control its operation even from the comfort of your office. This is a modern world and the current openers give you the opportunity to take advantage of them.